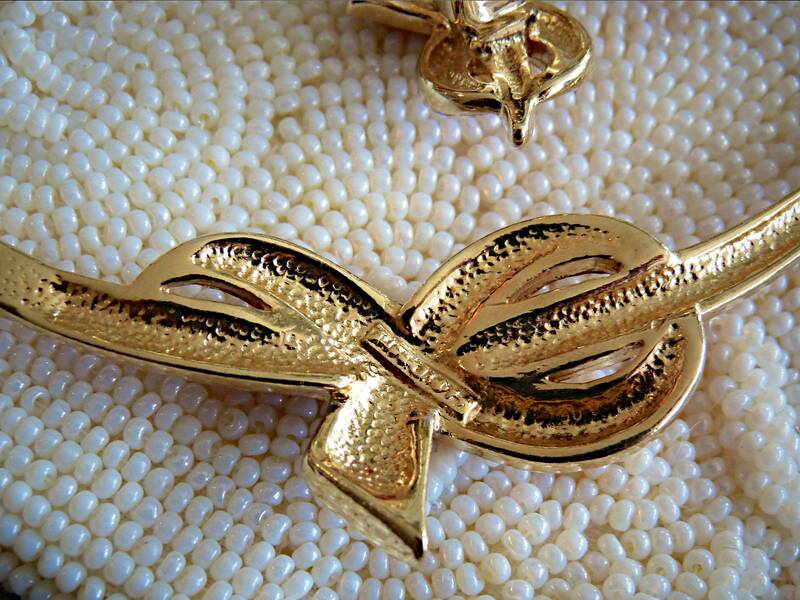 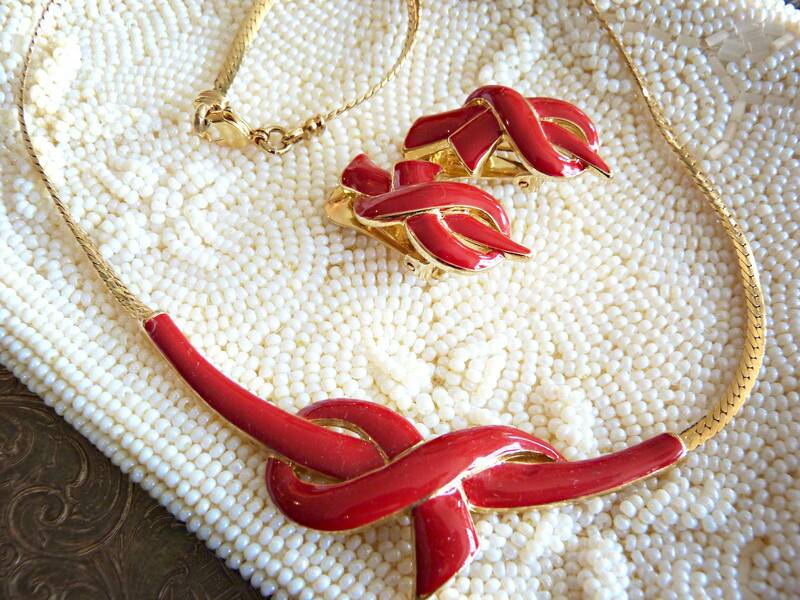 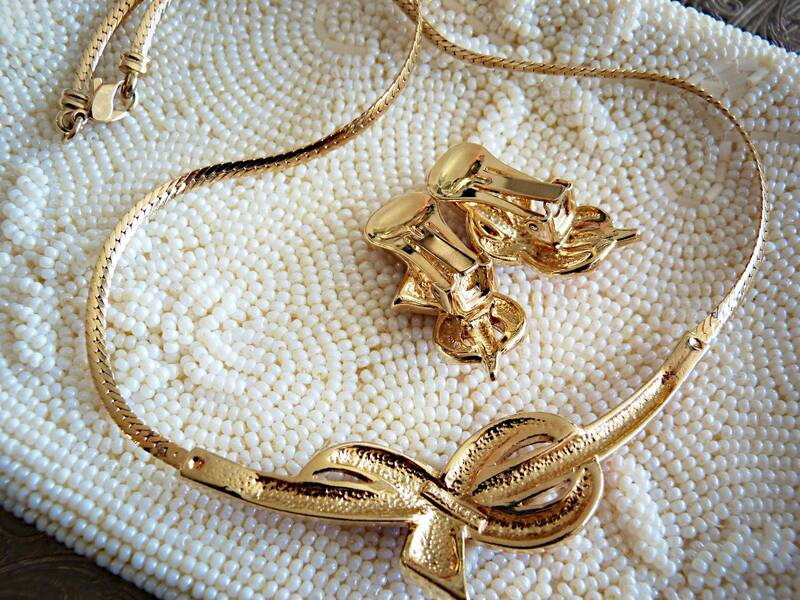 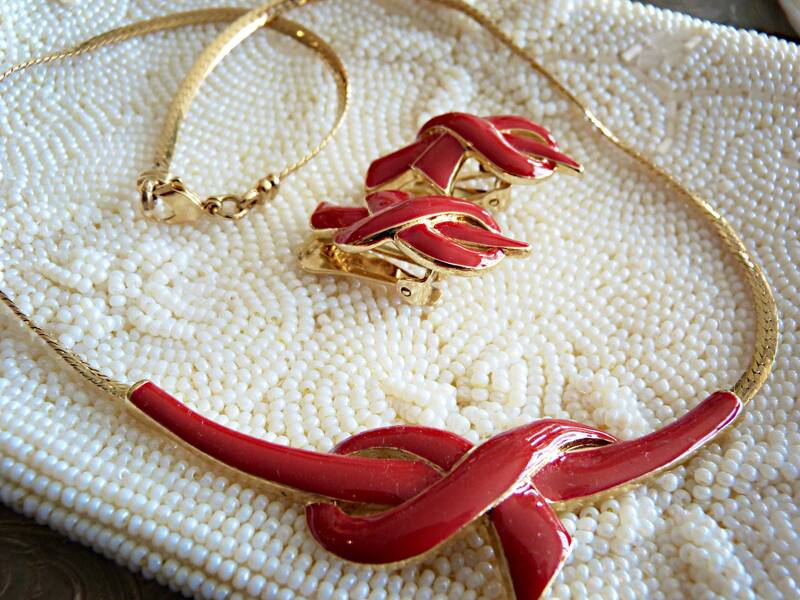 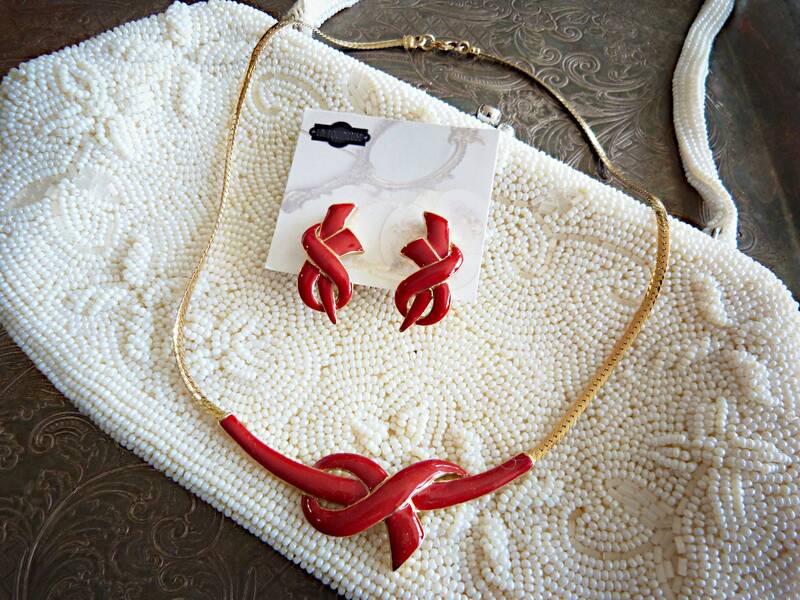 Lovely 1980's jewelry set including a necklace and a pair of clip earrings. 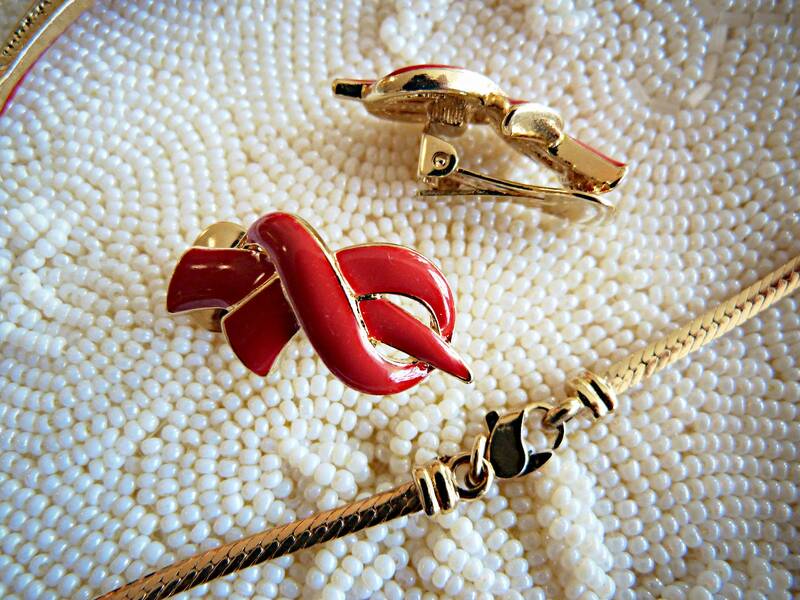 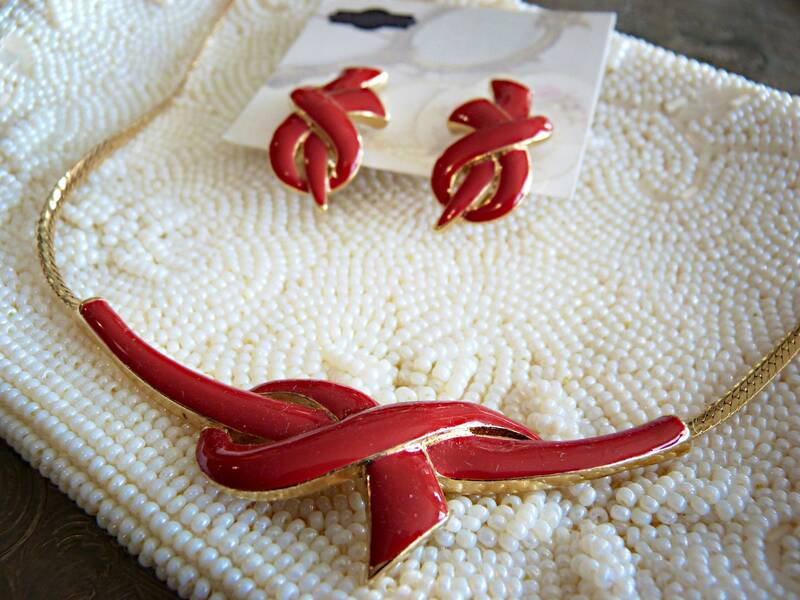 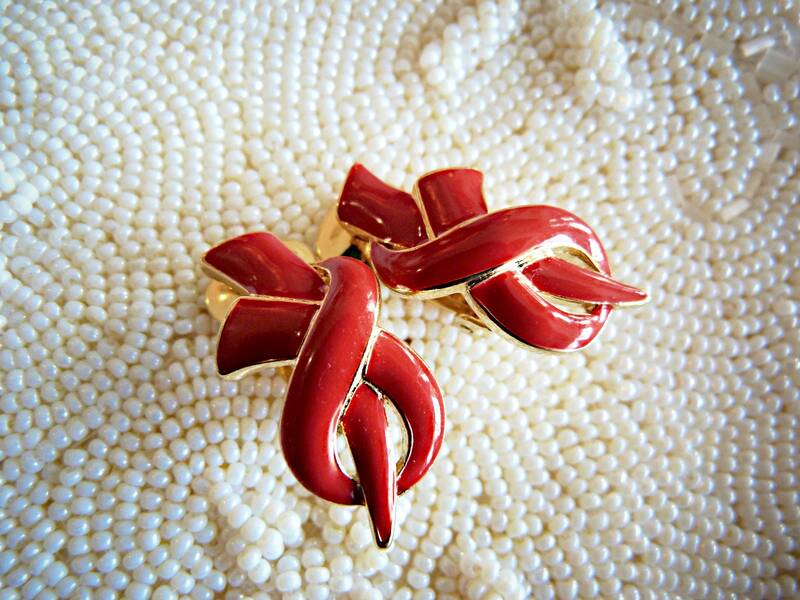 Solid brass, shaped as a knot and covered with red enamel. 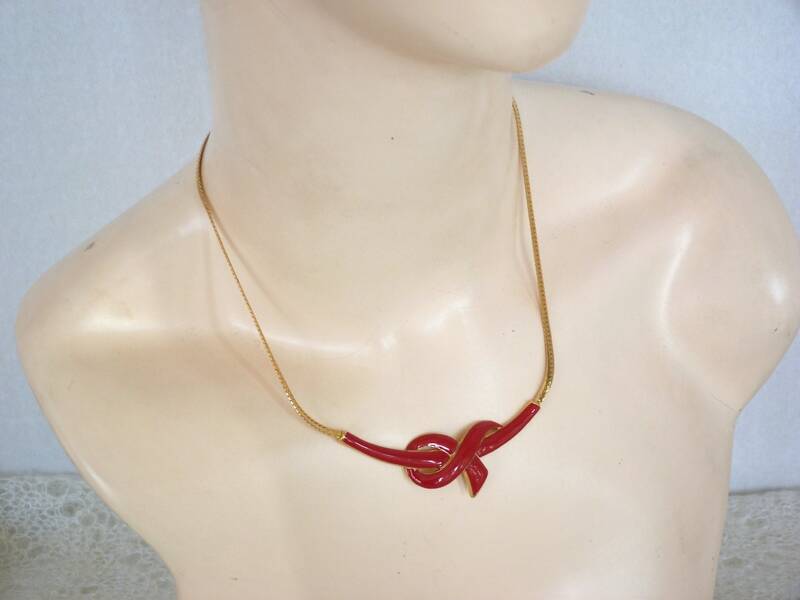 Herringbone style chain on the necklace.